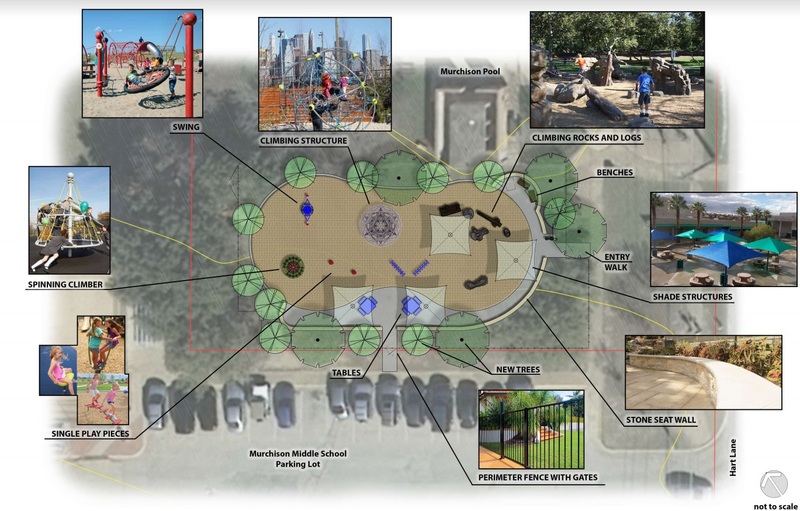 The Parks Committee of the Northwest Austin Civic Association has been working with the city to create an all-ages playground at Murchison Pool Park. We’ve had an amazing plan put together by Charles Mabry of PARD. Climbing structures, swings, spinners (both large and small), and free play balance logs will create a small and very dynamic playground. Shade structures help block some of that strong Texas sun. A drinking fountain to keep everyone hydrated. Tables with seats to accommodate anyone who might want to play a game or have a cup of coffee. With a beautiful stone seating wall for children of all ages to enjoy. This playground is for everyone. Your tax-deductible donation is critical to help us reach our fundraising goals. We’re going to have to raise at least $100,000 to be able to build this amazing playground. Any amount makes a difference. Would you like to join our email list to receive monthly news, volunteer opportunities, and information on special events?